TVS Motor Company has launched its new four-stroke TVS XL 100 in Delhi at a price of Rs 30,174 (ex-showroom Delhi). The TVS XL 100 is powered by a 99.7cc four-stroke engine which delivers 4.1bhp of power, with a top speed of 60kmph. TVS says the XL 100 returns fuel economy of 67kmpl, under simulated test conditions. "This launch reiterates our commitment to deliver high quality, customer centric products and also underlines our commitment to continually establish a strong brand connect with our customers. 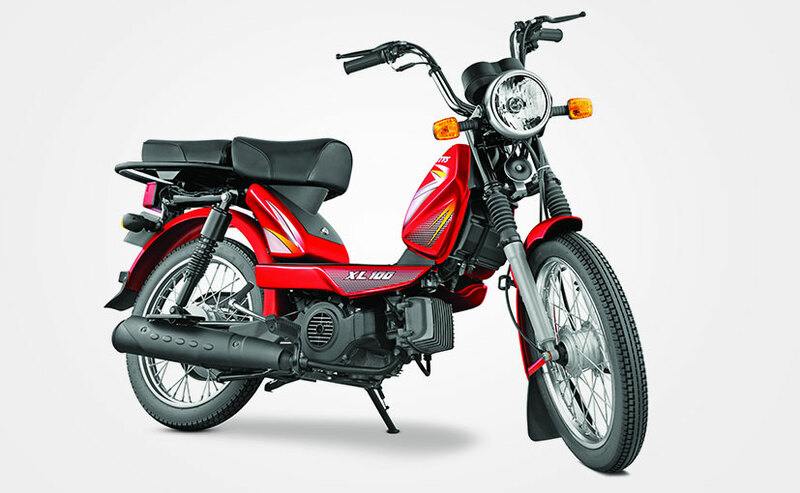 The all-new four stroke moped TVS XL 100 has been designed to meet the evolving needs of today's customer and is one of the most affordable, reliable, easy to ride, powerful multi-utility two wheelers in the market," said J S Srinivasan, Vice President - Sales and Service, TVS Motor Company. The TVS XL 100 comes with a broad and comfortable seat, with a detachable rear seat with a robust flat-bed platform to enable carrying loads. The ergonomics have been designed to ensure a comfortable riding position and the XL 100 features an easy kick start, bold style muffler, bigger tank and stainless steel brake cable for effective braking. The all-new TVS XL 100 is available in five colours - black, red, green, blue and grey and is complemented by attractive and vibrant body graphics. The TVS XL 100 will be available at TVS dealerships along with TVS XL Super and TVS XL Super Heavy Duty. For the latest auto news and reviews, follow CarAndBike on Twitter, Facebook, and subscribe to our YouTube channel.